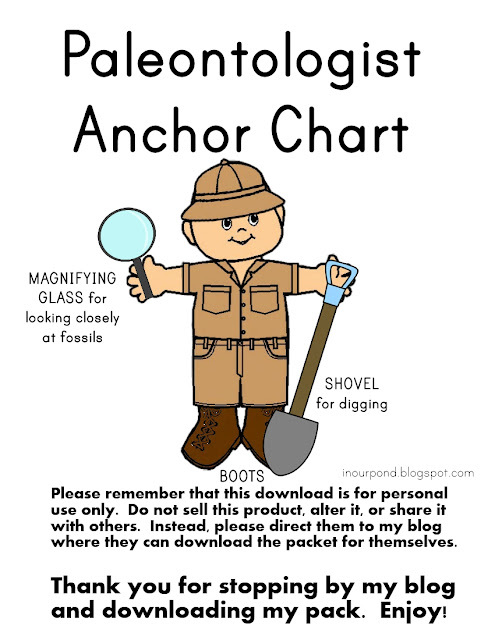 I'm branching away from the "Montessori" printables for a moment (because they don't like "cartoon" images) and offer this cute Paleontologist Anchor Chart. 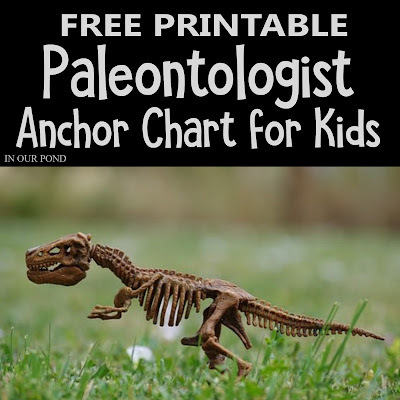 This poster can be used as a centerpiece for your dinosaur studies. 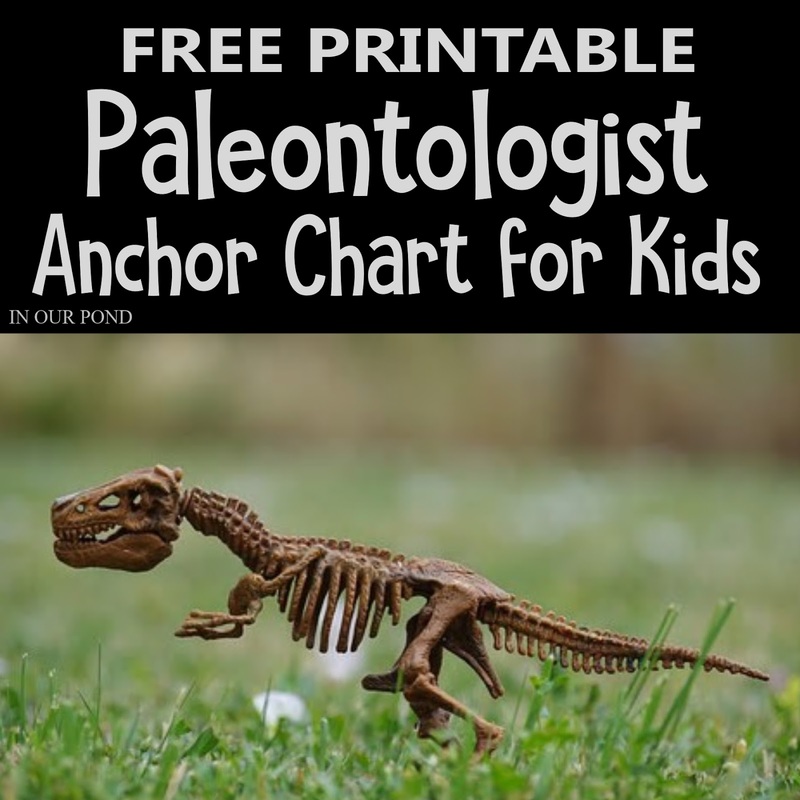 It features a "paleontologist" surrounded by all the tools of his work. 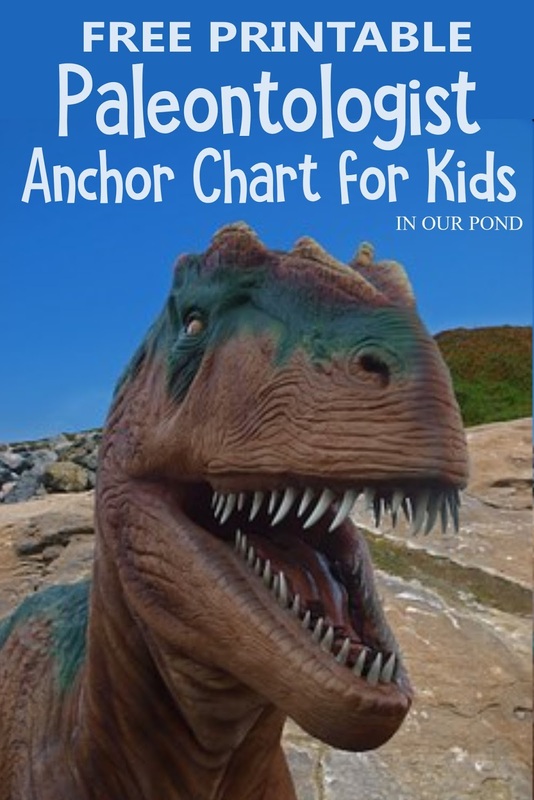 The images are from mycutegraphics.com. And, as always, it's completely free!